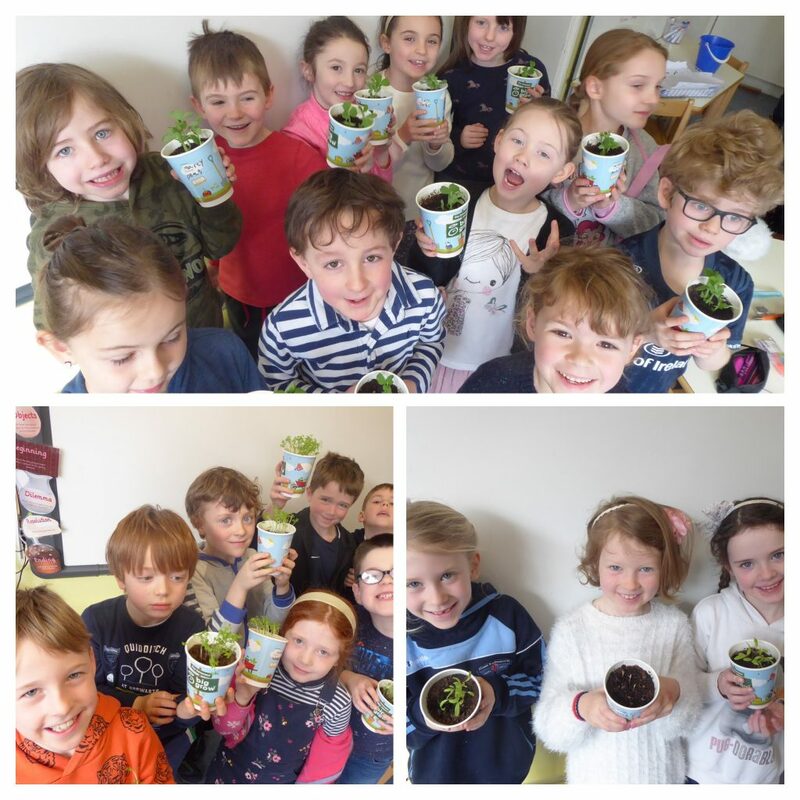 As part of our Science topic on Fruit and Vegetables, we planted some seeds from the Innocent Big Grow. We had three seeds to choose from; spinach, cress and peas. We put soil in a paper cup and planted our seeds. We put them on our windowsill and watered them. The cress grew the fastest followed by the peas and then the spinach. We really enjoyed watching our plants grow and have taken them home to look after until they are ready to eat.